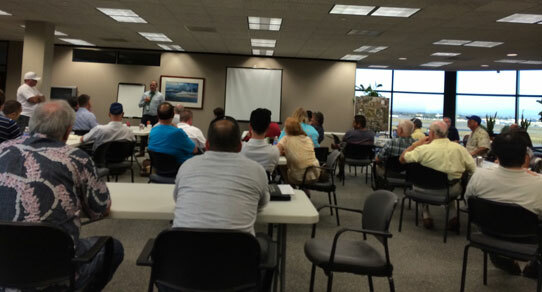 LGB Prop is an organized subcommittee of the Long Beach Airport Association (LBAA). Formed in 1947, the LBAA represents the many diverse users of the Long Beach Airport (LGB). LGB Prop plays a vital role by representing LGB aircraft owners, pilots, business operators, and other individuals to collectively promote and support the value of light general aviation. LGB Prop is the voice that will assure that propeller aircraft and related businesses maintain a viable presence a he Long Beach Airport. communication between individuals concerned with propeller aircraft and the City of Long Beach, Airport staff, major leaseholders, and the communities that make up the greater Long Beach area. Become a member of LGB Prop by joining the LBAA. You will be serving General Aviation, the LGB Airport community, and be an active participant in securing the aviation industry. Membership dues are just $25, and LBAA/LGB Prop members get to participate in special events, service and other volunteer opportunities. At the same time, your membership supports our efforts to build community, maintain a political presence to represent and advocate on behalf of pilots and owners of propeller driven aircraft, and provide good-will visibility with the general public. RAFFLE TICKETS FOR SALE – $100 GRAND PRIZE!! PRE-REGISTER ON THE FAAST TEAM WEBSITE OR JUST SHOW UP!